(l-r): Kasia Parecki (JD/LLM), Christine Kuglin (JD/LLM), Associate Professor Erin Stearns, Dave Wilson (LLM) and Gretchen Bundy-Ladowicz (LLM). Two University of Denver Sturm College of Law teams won first and second place at the national ABA Law Student Tax Challenge–LLM division in New Orleans last weekend. The team of Christine Kuglin (JD/LLM) and Kasia Parecki (JD/LLM) earned top honors and the team of Gretchen Bundy-Ladowicz (LLM) and Dave Wilson (LLM), both online students, took second place honors in the competition. To qualify for the challenge finals, law student teams were asked to solve a cutting-edge and complex business problem that might arise in everyday tax practice. Teams were initially evaluated on two criteria: a memorandum to a senior partner and a letter to a client explaining the result. The teams from Denver Law were among only four teams selected to attend the finals, held at the ABA Section of Taxation 2019 Midyear Meeting, January 17–19, in New Orleans. Each team defended its submission before a panel of judges representing the nation’s top tax practitioners and government officials, including U.S. Tax Court judges. Congratulations to both teams, as well as their coaches, for this outstanding achievement. John Wilson, director of the University of Denver Graduate Tax Program, was recently honored as the recipient of the 2017-2018 James E. Bye Lifetime Achievement Award by the Tax Section of the Colorado Bar Association. Wilson is also partner at Holland & Hart in Denver. This annual award is presented to a Colorado tax attorney who has adhered to the highest principles and traditions of the legal profession in the practice of tax law, and who has distinguished himself or herself in areas such as the practice of tax law in the State of Colorado, the improvement of the quality of the tax law, legal education, service to the Tax Bar, and community involvement. In his practice, Wilson provides strategic advice to clients on complex corporate and individual tax matters, mergers and acquisitions, international business transactions, and IRS audits and appeals. He is considered a leader in tax law and, as a faculty member at the Sturm College of Law, teaches courses such as international taxation, partnerships, consolidated returns, and individual tax problems. Wilson is nationally recognized by The Best Lawyers in America in Tax Law and Trusts and Estates and is also a Fellow of the American College of Tax Counsel, an elite group of America’s very best tax attorneys who have made an exceptional contribution in their profession. Student-staffed clinic provides over 5,000 service hours a year to the taxpayer community. You don’t have to look much further than the Low Income Taxpayer Clinic (LITC) at Sturm College of Law to see how the University of Denver is fulfilling its mission of being a private university dedicated to the public good. Since 1982, the clinic has been helping the low-income population dig its way out from under mountains of IRS debt. LITC’s mission is to provide the low-income population (those with an annual gross income of $30,000 or less) with free legal services for tax issues. It generally doesn’t file taxes for people but does handle any issues that arise after the fact. In 1998, Congress passed a big IRS restructuring act in response to public perception of abusive practices by the IRS. There were a number of reforms put in place—including funding for low income taxpayer clinics—as a measure to reform the IRS and help those who were underserved. The LITC was one of the first clinics funded. And handle things the clinic does. In 2017 alone, LITC represented 273 taxpayers, helped taxpayers receive $26,372 in refunds from the IRS and decreased the total amount of tax liabilities, penalties and interest of clients by $1.3 million. Stearns and LITC Assistant Director Samantha Galvin, as well as around 20 student participants a year, make it all possible. Unlike other student law clinics at Denver Law, the LITC has both master's, JD and LLM participants. It is open to anyone in the Graduate Tax Program, law students and students in the Daniel’s Master of Accountancy Program. This hands-on experience gives students the chance to handle work papers, participate in research and make arguments for their clients. In addition, participation in the clinic creates a multidisciplinary network that lasts long after graduation. The master's students are often coming from a tax and accountancy background, so they can handle issues that law students may not be familiar with. And, the law students studying for their LLM can handle the law aspects and legal research that the master's students may not be familiar with. It’s a winning combination that has resulted in numerous success stories for the clinic. LITC has helped a range of people from those who struggled with taxes after The Great Recession took its toll on businesses to those who hadn’t filed taxes in years and everything in between. One such case saw the clinic reduce an IRS debt of $29,000 to only $10. The client had had a successful career prior to suffering debilitating health issues, which left her living on long-term disability and social security disability income. Like many in her position, she didn’t realize she owed taxes on that income and did not have enough withholding. The LITC team took up the fight, and through adjusting her tax withholding and proving her high medical costs, an Offer of Compromise of $10 to the IRS and an offer of $10 to the state was accepted. While this seems like an extraordinarily rare outcome, it is actually fairly common for the clinic. According to 2017 statistics, the median offer amount for 34 clients with accepted Offers of Compromise was just $10. “We are just really focused on resolving conflicts with the IRS,” Galvin says. And for those who are struggling with tax debt, that is a huge relief. When professors, veterans, and law students join efforts, impressive solutions are possible. In the case of the University of Denver Sturm College of Law, that solution is the groundbreaking pro-bono Veterans Advocacy Project (VAP), which is making monumental strides in veteran legal services. The VAP, the only program of its kind in Colorado, is the brainchild of Denver Law Professor Ann Vessels. She launched the clinic in 2015 after watching her own son, Sean, a former Marine, struggle to come back from three tours in the Middle East. He was struggling with PTSD and had to wait more than a year for his benefits to come through from the Veterans Administration (VA). “Had he not lived with us, he’d have been on the streets,” said Vessels. Watching her son try to navigate the complex process of getting benefits gave her the incentive to launch the VAP, with the help of Denver Law alumni Mike Shea and Tim Franklin. The clinic assists veterans who are appealing their VA benefit decisions, as well as those who need help changing their discharge status so they can access any benefits at all. A service member who receives an other-than-honorable discharge is not eligible for most benefits, including health care, disability or the GI Bill. According to Vessels, other-than-honorable discharges can happen for a number of reasons, including the service members’ behavior, which can also be due to PTSD-related issues, or something as simple as being late a few times. Some discharges can even prevent veterans from gaining employment after they leave the service. “It just seems unfair in some cases. That’s why we do the work to fight it,” she said. And fight the clinic does. Since its inception, the clinic has recovered more than $7.2 million for veteran clients through successful discharge upgrade applications and VA disability benefit cases. However, the clinic doesn’t just recover money for veterans, it recovers quality of life. “There’s a great line from a song that says we send them off to die for us and forget about them when they don’t. That is so, so true. And that’s why we do what we do,” said Vessels. Vessels has seen veteran clients go from homelessness to receiving full benefits, plus back pay for benefits not received, getting them off the streets. The clinic’s success is heavily fueled by hands-on, real-world work by Denver Law students who participate. Law students who work in the VAP take a seminar to learn the ins and outs of military benefits and spend 150 hours working with clients over the course of a semester. Alice Hansen, 2L, works in the VAP and says her time is often spent interviewing clients to understand their situation from their point of view, reviewing any medical or military records, as well as past decisions made about their case, and drafting briefs to appeal past decisions that may have denied the veteran VA benefits or issued an other-than-honorable discharge. Several students in the clinic are also veterans themselves, putting them in a unique position to earn real-world legal experience by helping their fellow veterans. “Doing two combat deployments, it is something I think about every day. I’ve had my own difficulties transitioning back. It’s been tough, but I did have a lot of help. I know a lot of others don’t have that, and I want to do something proactive to help these other men and women,” said Brennan Heuser, 3L, a U.S. Army sergeant who served two deployments, one in Pakistan and one Afghanistan. 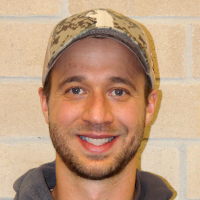 For Heuser, while a large part of the program is helping these veterans gain access to benefits, it’s also about giving veterans someone who understands. He said he meets with clients who are really struggling with either mental or physical injuries due to their time in the service but have the military mentality that you don’t ask for help and you just handle it yourself. “It’s pretty emotional. You’re dealing with really tough stories. I can relate to a lot of these stories, so I just work on having a healthy relationship with my clients. We’re trying to help people, and we are in a good position to help them legally by just listening to their story. It can save a life, honestly,” he said. Martin Carbajal, 2L, a petty officer in the U.S. Navy, said that it has been rewarding working with veterans and helping them move forward with their lives. Two clients he’s working with are waiting for discharge upgrades. “These upgrades are huge for them because they will be able to get their educational benefits. One can not only get his educational benefits, but because the discharge characteristics he received, he can’t even get a job. So, to help him to be able to go work is huge,” Carbajal said. For both veteran students working with the VAP, it’s about honoring their military service and giving back to others. “We have a lot of pride in what we do, and just knowing that they are going to get some benefit out of it is rewarding,” Carbajal said. The VAP’s services are in high demand, and Vessels has a goal to continue to raise awareness and funding to serve as many veterans as possible. You can help by donating to the Veterans Clinic Gift Fund. “Some of these veterans are being held back economically and socially. They are stuck at where they are at in their life then and there. As far as getting things back on track for them and helping out, ultimately, the Veterans Advocacy Project is the best avenue,” related Carbajal. The European Commission, the executive branch of the European Union, has awarded a €300,000 ($350,000) grant to four universities including the University of Denver to develop a “transatlantic-based” law school course that will compare European Union and United States climate change and energy transition policies, laws, and practices. The three-year grant, which will run from 2019-2021, has been awarded to the University of Denver Sturm College of Law, the Faculties of Law at the University of Copenhagen, Denmark, and the University of Oslo, Norway, and the University of Colorado Boulder. The Jean Monnet Program grant, which honors the legacy of the Frenchman referred to as “the father of Europe,” will fund the development of course materials, lectures, and European and American field trips by three leading climate change and energy transition (i.e., from fossil fuels to renewables) experts, Professor Catherine Banet of the University of Oslo, Professor Anita Rønne of the University of Copenhagen, and Professor Don Smith of the University of Denver. Felicia Naranjo Martinez, Executive Director of the European Union Center of Excellence at the University of Colorado, will oversee the development and implementation of the project. During the semester-long course, students will work in groups (e.g., each group of six will consist of two students from Copenhagen, Denver, and Oslo) to analyze and address a particularly timely issue associated with climate change and the energy transition. During the final week of the course in April 2019, students and professors will meet in person in Copenhagen where each group will make a presentation to everyone in the course as well as Danish climate change and energy transition experts. The in-person gathering will be capped with a field trip to a Danish island, Samso, that is 100 percent powered by renewable energy. In 2020 the in-person gathering will happen in Denver and in 2021 in Oslo. In addition to the virtual classroom, and the opportunity for students to work across EU and US “boundaries,” the grant will provide funding for students to participate in the “end of course” in-person gatherings. This will allow students who have worked in groups to meet each other as well as their professors and develop the foundation for longer term personal and professional relationships. The universities are located in cities and regions known for ambitious climate change and energy transition efforts. Copenhagen is one of the most sustainable cities in the world; Denver, located near the US National Renewable Energy Laboratory, has committed to using only renewable energy by 2030; and Oslo’s energy is largely produced today by renewables. Associate Professor Margaret Kwoka received the Pro Bono Achievement Award from the Animal Legal Defense Fund, recognizing her exemplary efforts for animals. She received the award at their third annual gala held in Los Angeles on September 8, 2018 where guests learned about the ALDF’s recent victories on behalf of animals. Net proceeds from the gala help fulfill their mission to protect the lives and advance the interests of animals through the legal system. Pictured with Kwoka is ALDF’s Pro Bono Program Director Tom Linney, Executive Director Steve Wells and Founder & General Counsel Joyce Tischler. The University of Denver Sturm College of Law is proud to welcome four new faculty members to the Denver Law community for the upcoming academic year. These highly accomplished teachers, scholars and practitioners significantly enhance the law school’s offerings in health law and environmental law as well as the legal writing and externship programs. Jennifer Cooper brings her extensive experience in legal writing education to the Sturm College of Law from Tulane University where she has been an adjunct professor in the Online Masters of Jurisprudence in Labor and Employment Law Program. Previously, she was a visiting assistant professor of lawyering at the Seattle University School of Law where she taught legal writing. Cooper joins Denver Law’s Lawyering Process Program as an assistant professor of the practice. She is a member of the Legal Writing Institute, a founding member of the Association of Academic Support Educators as well as chief academic officer and co-founder of Lark Academic which provides academic resources and consulting for legal education. 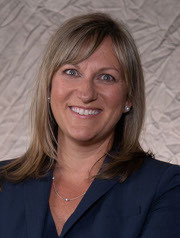 Cooper earned a JD from the Seattle University Law School where she was an editor for the Seattle University Law Review. Kristen Uhl Hulse joins Denver Law as an assistant professor of the practice working in the law school’s Legal Externship Program. 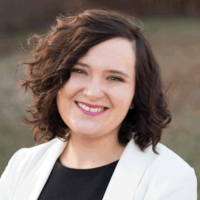 She recently served as director of attorney recruitment and professional development at Coblentz Patch Duffy & Bass LLP, where as she worked on a broad range of recruitment, retention, mentoring and training initiatives. 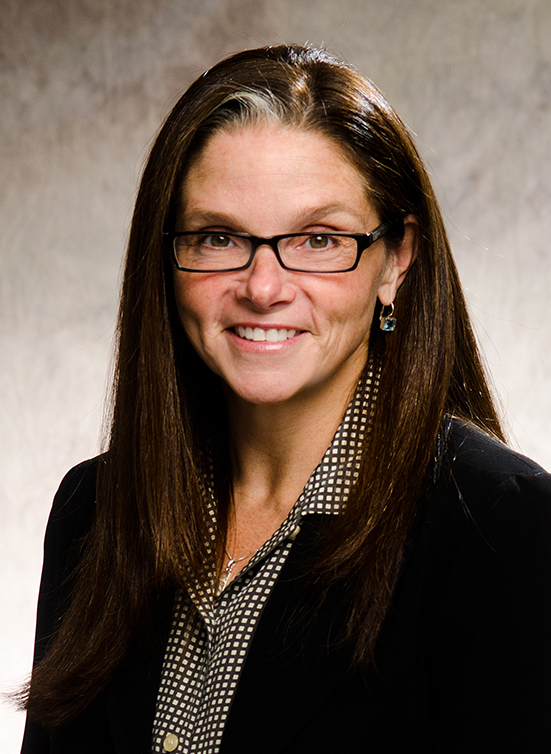 Hulse began her legal career as an investment management attorney with Dechert LLP in Washington D.C. and London. She then transitioned to the law school setting to hold career and professional development advisory roles with Georgetown University Law Center, Columbia Law School and the University of California, Berkeley, School of Law (Boalt Hall). Hulse received a BS from Georgetown University and a JD from the American University Washington College of Law, where she served as managing editor of the American University Law Review. 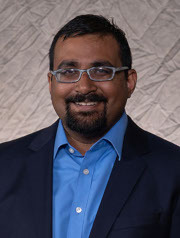 Assistant Professor Govind Persad brings his expertise to the expanding field of health law. He received a PhD in Philosophy and JD from Stanford University, where he was a Stanford interdisciplinary graduate fellow and a student fellow at the Stanford Center for Law and Biosciences. He was most recently an assistant professor in the Department of Health Policy and Management in the Bloomberg School of Public Health and in the Berman Institute of Bioethics at Johns Hopkins. Persad’s research interests include the ethical and legal dimensions of health insurance, health care financing and markets in health care services, as well as the ethics and regulation of medical research. His work has been published in journals including The Lancet, American Journal of Law and Medicine, Ethics and numerous law reviews. 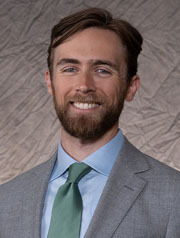 Wyatt Sassman joins Denver Law’s Environmental Law Clinic as an assistant professor. He comes to the University of Denver from the Georgetown University Law Center, where he served as a clinical teaching fellow in the Appellate Courts Immersion Clinic. A graduate of Vanderbilt University and Vanderbilt Law School, Sassman clerked for The Honorable Gilbert S. Merritt on the U.S. Court of Appeals for the Sixth Circuit. He also was an associate attorney at the Southern Environmental Law Center in Charleston in South Carolina. While in Charleston, Sassman taught environmental law as an adjunct professor at the Charleston School of Law and published several articles and book chapters. In law school, he was executive editor of the Environmental Law and Policy Annual Review, served on the board of the Legal Aid Society and helped establish the Medical Legal Partnership. The University of Denver Sturm College of Law will recognize its 2018 Law Stars honorees at a gala event on Thursday, Nov. 1 at the Hilton Denver City Center. DU Law Stars has honored distinguished alumni and faculty at this annual event since 1993. Proceeds from this year’s event will go to the Denver Law Fund, which supports the Sturm College of Law’s most important strategic priorities, including affordability, curricular innovation and postgraduate professional opportunities. The event includes a personal commemorative video of each honoree, recounting accomplishments both professional and personal. Learn more about DU’s Law Stars program: www.law.du.edu/alumni/law-stars. A reception begins at 6 p.m., followed by dinner and honoree video tributes. Members of the media are invited to attend and should RSVP to DU Media Relations at (720) 608-0240 or dumediarelations@gmail.com. Christopher Richardson is a corporate and restructuring partner at Davis Graham & Stubbs, where he also served as managing partner for 15 years, stepping down in 2016. His focus is on financing and restructuring work in the creditors' rights area, as well as private company mergers and acquisitions. Richardson has distinguished experience in transactional and restructuring matters relating to the oil and gas industry and is currently representing E&P companies in restructuring and bankruptcy matters. Richardson has been recognized by Chambers USA as a “Leader in Their Field” in Corporate/M&A and was selected for inclusion in Colorado Super Lawyers by Thomson Reuters. He was also selected for inclusion in The Best Lawyers in America for Bankruptcy and Creditor Debtor Rights/Insolvency and Reorganization Law, Leveraged Buyouts and Private Equity Law, and Mergers and Acquisitions Law. Richardson was also named by Best Lawyers as the 2016 Lawyer of the Year for Bankruptcy and Creditor Debtor Rights/Insolvency and Reorganization Law in Denver. Richardson is known by his colleagues as a leader who displays that rare combination of legal talent, business acumen, a sense of justice and humility. 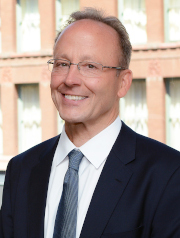 During his time as managing partner, his leadership helped the firm thrive through the Great Recession, and his focus on developing and retaining lawyers helped grow the firm to what it is today. In addition, his values and passion for doing the right thing can be seen in the many pro bono cases and community service projects taken on by Davis Graham & Stubbs. 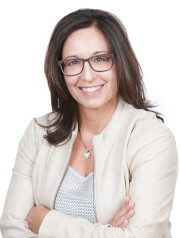 Patricia Jarzobski is a recognized leader, a mentor and an adviser in the law community. Her accomplishments are myriad, including serving as past-president of the Colorado Bar Association, the CBA’s fifth female president in 119 years and the first female president in 10 years. She was also selected by colleagues to become a Colorado Bar Foundation fellow, an honor limited to five percent of Colorado attorneys for their prominence, reputation and good standing in the legal community. In addition, she served as past president of the Colorado Women’s Bar Association and was appointed by Colorado Governor John Hickenlooper to serve a six-year term on the 17th Judicial District Judicial Nominating Commission, to name just a few more honors. 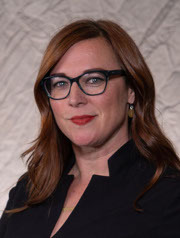 In 2015, Jarzobski received the Colorado Women’s Bar Association Foundation’s Raising the Bar Award for “5 women attorneys to watch who will make an impact in the next 10 years.” She also received the LGBT Bar Association Foundation Attorney of the Year Award in 2016. Jarzobski is dedicated to engaging the diverse talent of our entire community in shaping how our bar associations move forward. She is also committed to mentoring and sponsoring women lawyers, diverse attorneys, young lawyers and the next generation of leaders. 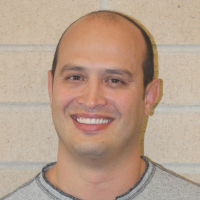 Jarzobski serves as a mentor in the Colorado Supreme Court mentoring program. She is also a member of many diversity bar associations including the LGBT Bar Association, Colorado Women’s Bar, Asian Pacific American Bar, Colorado Hispanic Bar, Sam Cary Bar Association and South Asian Bar. Jarzobski is also active in local and national charities and works to promote equal access to justice for low-income populations. Professor K.K. DuVivier is a nationally known scholar in the field of natural resources and renewable energy issues, currently focusing on solar and wind. 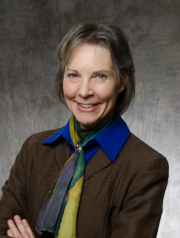 She joined the faculty at Denver Law in 2000, earning many honors including AALS DU Teacher of the Year 2015, Mentorship Award 2013-2014, Hughes-Ruud Research Professor 2015 and the 2013 Sturm Faculty Excellence Award for Best Professor. Her students and colleagues also recognize her as being caring, encouraging and always available to help. DuVivier’s scholarship and teaching has focused on a variety of subjects over the years, including energy law, renewable energy law, civil procedure, mining law, legal research and writing, local government, wills and trusts and environmental law. Using her science background, DuVivier has taught interdisciplinary courses and received a National Science Foundation award to partner with an atmospheric scientist and an economist to address wind-farm impacts. She also served as Denver Law’s Director of Lawyering Process Program and Director of the Environmental and Natural Resources Law Program. Her book, The Renewable Energy Reader (Carolina Academic Press, 2011) was the first book devoted exclusively to U.S. renewable energy law. DuVivier continues to present in numerous national and international forums and has published over 100 articles in bar journals and law reviews. A recent $687,000 gift from the Arnold & Porter Foundation to the University of Denver will create two new endowed scholarships at the Sturm College of Law to support outstanding students with a demonstrated commitment to civil liberties and civil rights. The gift also will support a strategic litigation fund designed to advance the nationally recognized work of the law school’s Civil Rights Clinic, part of its No. 8-ranked clinical program. The Abe Krash Access to Justice Endowed Scholarship Fund, seeded with a $250,000 gift from the Foundation, will endow — in perpetuity — scholarships for students with a demonstrated interest in civil rights and access to justice. The fund honors the landmark contributions of Abe Krash, currently of counsel to the firm of Arnold & Porter, who formed part of the firm’s legal team that represented Clarence Gideon in the landmark U.S. Supreme Court case of Gideon v. Wainwright (1963), which guaranteed the right to counsel in criminal matters. The Arnold & Porter Civil Rights Endowed Scholarship Fund, seeded with a second $250,000 gift, will endow scholarships for students with a demonstrated commitment to public interest law and prisoners’ rights. An additional contribution of $187,000 will advance the work of the Civil Rights Clinic, with a particular focus on litigation and advocacy on behalf of incarcerated individuals — an area of law in which the clinic has achieved a well-earned national reputation.